Weezer, the jolly power pop-punk band of nerd misogynists, got absurdly lucky with this one. In June, Rivers Cuomo and crew covered Toto’s 1982 hit “Africa” as the result of a months-long Twitter campaign by an Ohio teenager named Mary and her hashtag, #WeezerCoverAfrica. Her efforts paid off and Weezer recorded a straightforward, innovation-less version of the track. People went crazy for it, and Weezer’s “Africa” became the band’s first No. 1 song ever on Billboard’s Rock Airplay Chart, as well as their first Hot 100-charting single in over 12 years. And now, today, they’ve dropped a music video for their rendition of the song starring Weird Al Yankovic. All I ask for in this world of sin is that the madness stops soon and we’re near the end of this nostalgic Weezer-induced journey. It’s so rare to have a cover inspire literal months of headlines, and yet, here we are: in the video, Weird Al plays frontman Cuomo, performing in front of the band and a blue backdrop a la Weezer’s “Undone (The Sweater Song)” video. My indubitable theory is as follows: people love Toto’s “Africa.” It’s a great song, and it will always be a great song. Some people love Weezer. They certainly love music that reminds them of a carefree adolescence when passive listening reigned supreme and you could get away with lackluster lyricism. 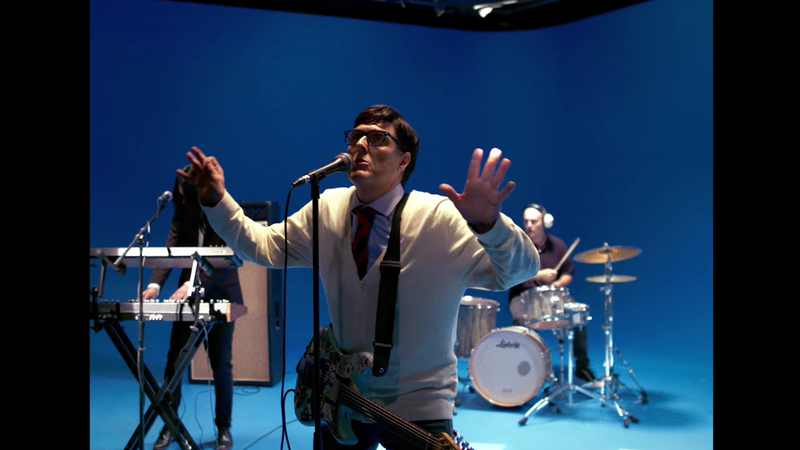 Weezer played it smart by not putting their own twist on “Africa” as to not offend pop purists. And that’s... about it. Congrats, man babies, you win this round.